Somehow I find it hard to believe that those 6MB will amount to 4GB and when I close firefox for example it seems the graph in performance falls down by much more than 830MB. 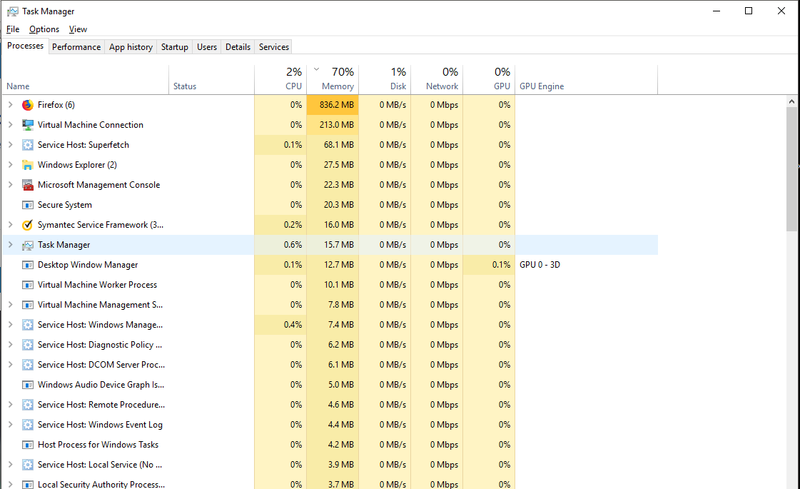 Is it just an impression, or are the values in Task Manager/Processes systematically lower than real usage ? Edit. : Here is also the RAMMapp. Paging file is still disabled. You are using more than 5.5 GB of memory. 7.9GB of memory is committed. Windows 10 compresses memory to make more RAM being allocated while less ram is actually used. In addition, memory is freed by paging it. The 830 MB is in use in system memory at that time, but Firefox can be using more memory, where the other parts are either compressed or paged. So when you close firefox, it is possible that more ram is freed. Its removed out of the page file. Windows predicts what RAM you are going to use and will compress memory that you are likely not to need soon. By closing firefox, you switch to another program, and as such windows is likely managing its RAM to allocate for the change which may seem as more memory becoming free. Not the answer you're looking for? Browse other questions tagged task-manager or ask your own question. What is “Memory Usage” and “Virtual memory size” in taskmgr? 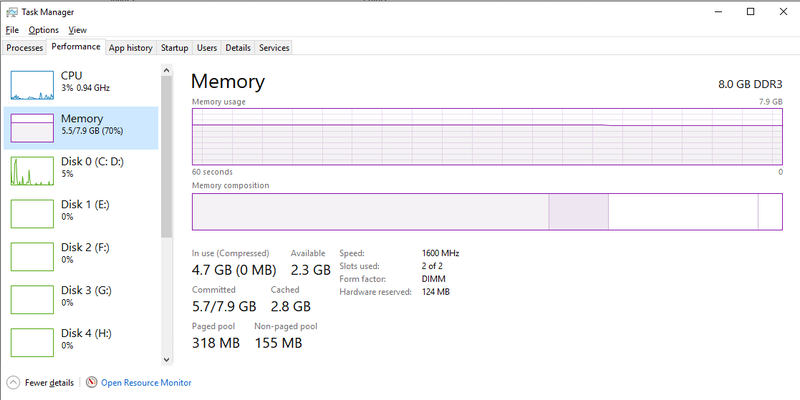 Why do Resource Monitor and Task Manager's total RAM usage not even remotely add up to the total Physical Memory usage?